What is a Reach School in College Admissions? A reach school is a college that you have a chance of getting into, but your test scores, class rank and/or high school grades are a bit on the low side when you look at the school's profile. This article helps you identify schools that qualify as a "reach." As you apply to colleges, it's important to not underestimate yourself and rule out good schools simply because you don't think you can get in. On the flip side, it can be a waste of time and resources if you apply to colleges and universities that will certainly reject your application. What Colleges Qualify as a Reach? If the college requires standardized test scores, you should consider it a reach if your ACT or SAT scores fall below the middle 50% range presented in the college profile data. You should consider a school a reach if your GPA falls below the primary blue and green area in the ​admissions scattergram. You can get a good sense of your chance of admission by setting up a free account at Cappex. You can sign up here: Calculate Your Chances of Getting In. You should always consider the top U.S. colleges and top universities to be reach schools. Most of these schools have such high admissions standards and low acceptance rates, that even top students with strong grades and standardized test scores are more likely to be rejected than admitted. How Many Reach Schools Should You Apply To? This is a tough question. More important is to make sure you apply to at least a couple match schools and safety schools. Failure to do so might mean that you end up with nothing but rejection letters. Because reach schools end up being a sort of long-shot lottery, it might be tempting to think that applying to lots of reach schools improves your chances of getting into one. On one level, this logic is sound. More lottery tickets = greater chance of winning. That said, the lottery analogy isn't entirely apt. If you bang out twenty generic applications for twenty reach schools, your chances of getting in will be slim. Students who succeed at getting into reach schools put time and care into each individual application. Your supplemental essay needs to present a clear, thoughtful, and specific argument focused on the specific features of the school to which you are applying. If a supplemental essay for one school could just as easily be used for another, you have failed to demonstrate your interest and you won't convince the admissions folk of your sincere interest in the school. Also, make sure your reach schools really are places that you would like to attend. Every year the news covers the story of some interesting high school prodigy who got into all eight of the Ivy League schools. As impressive as this accomplishment is, it is also absurd. Why would an applicant apply to all the Ivies? Someone who is happy in the rural setting of Cornell University would probably hate the urban bustle of Columbia University. Reach schools are often prestigious, but prestige doesn't mean a school is a good match for your personal, academic, and professional interests and goals. In short, apply to as many reach schools as you want, but make sure they really are schools you'd like to attend and make sure you can give each application the time and attention it demands. How Can I Improve My Chances at a Reach School? Apply Early Action or Early Decision. Admit rates are often more than twice as high than they are with the regular applicant pool. If an option, write a supplemental essay or send supplemental materials that clearly articulate why the reach school is a great match for your personality, interests, and goals. If you have a special talent, make sure your skills come across clearly in your application. A stellar athlete, musician, or politician has a skill set that can help make up for less-than-ideal grades and/or test scores. If you have a compelling personal story, be sure to tell it. Some applicants have overcome challenges that put grades and test scores into context and cause the admissions committee to consider the applicant's potential, not just his or her previous performance. Be realistic when choosing a reach school. If you have a B- high school average, a 21 ACT composite, and very little on the extracurricular front, you are not going to get into Stanford or Harvard. Those universities are not reach schools; they are unrealistic fantasies. There are many excellent colleges and universities that will be a good match for you, but you'd be wasting your time and application dollars by applying to schools that will certainly reject you. 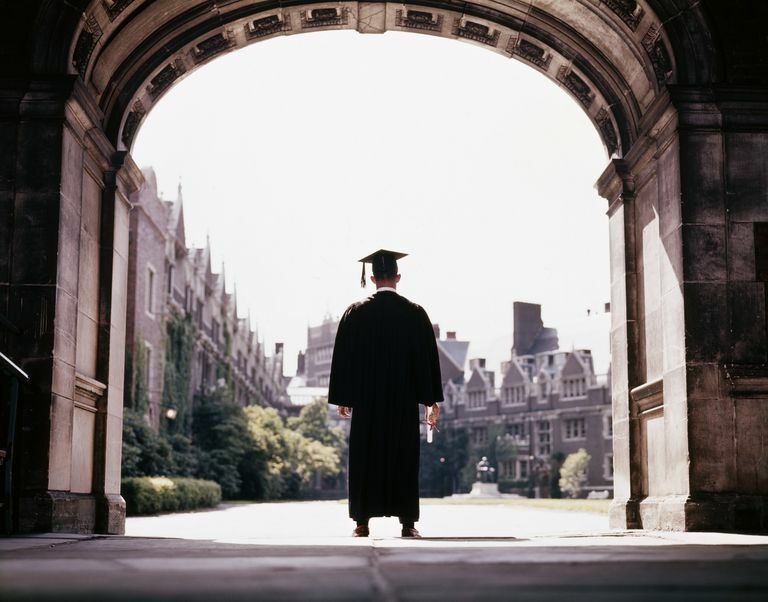 So You Want to Get into an Ivy League School? Here's How. Transitioning to College: How Many Schools Should You Apply To? What GPA and Test Scores Do You Need to Get into Brown University?